What is Touchstone Crystal About? Is Touchstone Crystal an MLM Hype or another Scam? Creating additional opportunities to earn more income or to transition from being an employee to becoming a business owner can be very difficult for those with limited business experience and capital. Luckily there are a lot of available resources and companies that offer innovative ways to earn more across various interests and industries. These businesses help you sell products and services without requiring the costly and tiring process of developing and marketing them. Touchstone Crystal is a good example of an MLM program that leverages the name and marketing potential of a popular brand for selling products and enlarging your marketing network. Branded as Touchstone Crystal by Swarovski, it creates immediate appeal to your consumers and helps cement brand integrity and reliability to the business itself. Fees: $139 Basic Starter Kit option, and a $299 enhanced starting option. Touchstone Crystal is the direct sales company for Swarovski, the world famous brand of jewelry known for its fascinating crystals. While Swarovski itself has products across the board, from figurines, couture, crystal elements, home décor, chandeliers, and even high precision optical instruments like telescopes and similar devices, Touchstone Crystal mainly focuses on ready-made jewelry for distribution to Swarovski fans and other customers. The main product line in the Touchstone Crystal portfolio is jewelry. These uniquely designed items are sold only through Touchstone Crystal and are not officially sold anywhere else. This makes the products unique and marketable. All of the accessories and jewelry sold have the Swarovski Crystal, the international standard to which all other crystal jewelry are compared. Each jewelry piece sparkles with different sizes of Swarovski crystals and is of the highest quality and craftsmanship. These crystals are graded through four categories, the cut, clarity, color, contour, and only the best get placed in the jewelry. The best thing about Touchstone Crystal jewelry is that the customer is sure that only true and genuine Swarovski Crystals are used for each item. The products are also surprisingly affordable with about half the catalog at under $50. The wide range and variety of options make these products a versatile option for everyone. The key marketing tool that is central to the success of Touchstone Crystal is the Swarovski brand. With over a hundred and twenty years of good reputation as a leader in jewelry, crystal to be specific, it is a brand that is known by almost all. These crystals are found on the most luxurious of products from the world’s foremost fashion house and brands. Their jewelry is also known for meticulous craftsmanship while leading innovation on almost all fronts of design and quality. Leveraging this brand has proven to be a potent force in creating successful businesses from Touchstone Crystal. People interested in participating in this opportunity become what the company calls Consultants. These consultants earn a generous income as well as multiple rewards and incentives for selling the company’s products as well as expanding their sponsoring effort. According to the company’s training and marketing material, Touchstone Crystal offers one of the best compensation plans in the direct sales market today. They have simplified their training guides to ensure that they are easy to spend, and it is relatively east to earn a significant commission of other consultants that you sponsor. A twenty-five to forty percent commission is not unheard of and building even just a team of three can get a person into their Leader income bracket. How Much Do You Have to Invest to Get Started? Considering other costs and expenses in building a business, Touchstone Crystal’s has an accessible starting cost. The company offers two paths into starting with the program, $139 Basic Starter Kit option, and a $299 enhanced starting option. They can also provide you with your own personalized website for about 9.95 a month. These kits should be able to prepare and equip their prospective consultants with the tools to succeed in the business. They come with a particular amount of Jewels along with the appropriate training material and marketing tools that will help a consultant become as productive as possible. These kits should be able to prepare and equip their prospective consultants with the tools to succeed in the business. They come with a particular amount of Jewels along with the appropriate training material and marketing tools that will help a consultant become as productive as possible. Another key item that can be taken advantage of by the new consultant is the training and support the company offers through its network. Free training and business coaching combined with the marketing tools, which includes online material such as a website and social media tools, can help the consultant build their business to new heights. Customer support can also be handled by the friendly and knowledgeable team from Touchstone Crystal which is very important for any sales business. Customer support can also be handled by the friendly and knowledgeable team from Touchstone Crystal which is very important for any sales business. The company also offers a career plan, which can show you the proper objectives and schedules that can be followed to ensure the most effective and efficient use of the consultant’s effort and create a blueprint to achieve the desired income goals as well as rewards. If you are a person that is looking for a new income source and willing personality that can clearly understand the market for jewelry and direct selling, then Touchstone Crystal can be a great opportunity for you. Coordinating a party or two can easily turn into an opportunity to expand the network and create new sales opportunities for the consultants. The key to success in this type of business is the ability to create an effective network of consultant teams that can deliver the appropriate sales and sponsorships. Becoming a leader in this business is the key to ensuring a stable and productive income stream that can be depended on. Touchstone Crystal is a unique and novel business opportunity for the savvy business person that can leverage their personal network and skills to expand their direct selling and sponsorship efforts. Unlike other businesses with rigid frameworks and traditional hours, this opportunity can provide the freedom for fluid scheduling as well as make use of parties and social events for the promotion of the product. Creating an enjoyable atmosphere as well as a personable outlook can be the key to ensuring that a consultant’s personal direct selling network can deliver a profitable experience for all those participating. Touchstone Crystal is not a scam due to backed by Swarovski which is very strong in reputation as well as history. This makes Touchstone Crystal very unique and easier to promote to your closed one. You would not need to spend much time explaining about the brand since everyone will know about it. The things is MLM business model always scared people of. You organize parties and invite relatives or friends to your house but with selling purpose, with certain intention. Think about it! How many times will you organize. Will this action scared people and step back from you? Let me tell you the answer. I personally would’t join this house parties and participate on it to expect people buy from me. I like to work hard but I would rather people comes to me instead. If you like to own an business without organizing house parties and recruiting people. Then you might want to consider the alternative ways to build your income. How about building an online business? Here’s on 10 reason why you should own an online business. Your time and money better invested elsewhere. I build my income from my online business and generate traffic from around the global. In this way, my online business operates 24/7 without limitation and the earning potential is infinite. Click here to know the exact formula I followed. You can even use this formula to promote Touchstone Crystal to your online customers. The potential is more even higher compare to targeting your geographic location. You are also not limiting yourself into one company and works with multiple income sources. Ultimately your business “die” by depending only one source. So enough yelling from me and I think should stop here. What do you think about this MLM Pyramid Scheme? Does it give you a different point of view? Feel free to leave your comment below and chime in together. Thank again for sticking this post till the end. I hope you have an success online journey and stay in touch. Let me know if you need a hand from me and I am more than willing to help you out of this circle. It is nice to hear about and MLM program that is good for once. There soo many MLMs and Pyramid schemes that promise a lot and deliver little. I really like Swarovski jewellery and there is no doubt there is an opportunity selling them. 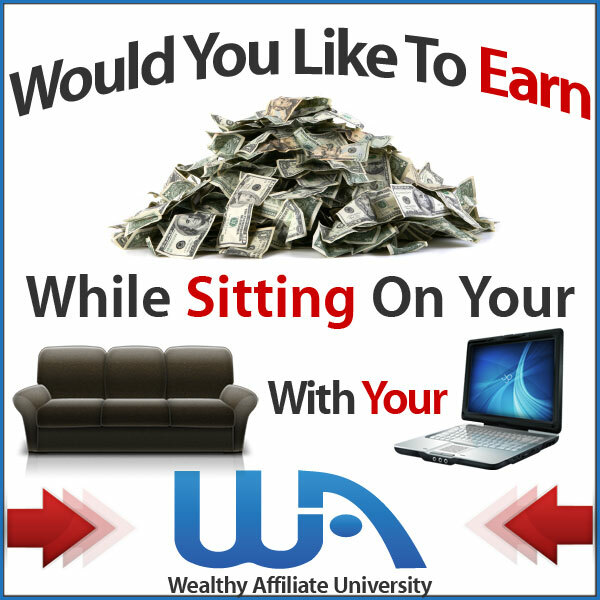 However I much prefer your other option of making money with affiliate marketing. I believe it gives you more freedom and more possibilities. Hi Jojo, No problem at all and thanks for the comment here. Take care and let me know if you need a hand from me. I have always been wary of any MLM scheme, they have always rubbed me the wrong way. Is the reward higher if you recruit more consultants? I wasn’t quite sure from the article. You see the problem arises when the reward to hire consultants is significantly more than if you make retail sales. This is when it becomes all about recruiting and trying to build a downline that never ends. Yes, Minhaj. Touchstone Crystal has no different with others MLM out there. More consultants mean more people work under you and hence more reward in return. This is what happening in MLM recruiting. I think this is a great, informative website. I hadn’t heard of Touch Stone crystal before but I feel that now after reading your page that I fully understand what it’s all about and I’m sure that it would be right for certain people who after reading it , would go ahead and pursue it. Great content, beautifully written. Thank you for the nice word Nicola and I wish you all the success in your online journey. Thanks for posting that review of Touchstone Crystal. I had never really heard of them until now and it is good to know that it is not a scam. I’m not into MLMs and prefer to make money online elsewhere, but I know someone who is really into jewelry and this might actually be of interest to them. I know you mentioned that there are 2 different costs if you join. Are these one time costs or yearly? Hey Brian, those 2 different costs are one-time investment and this is the costs if you wanted to join their business opportunity. With $139 basic starting package or you can opt out the enchanced package at $299. It is refreshing to see a MLM that is focused on a different market.You get your traditional health and fitness ones and sometimes it is just so saturated and makes it hard to choose. My wife and I enjoyed your review.She was into the Honey jewelry business before and once we read that this company has got Swaroski into it, she is seriously considering it. That idea of having an online business and incorporating Touchstone Crystal into it is absolutely brilliant. We are going to check out your recommendation as well. Good to know you and your wife is seriously considering Touchstone Crystal. At the end of the day is your choice for choosing the business opportunity and I would highly recommend you go for Affiliate Marketing which your wife able to build a website to promote Touchstone Crystal too. This is an interesting online business. You didn’t mention if you are into drop shipping. When I mention drop shipping, I mean whenever I place an order for a customer, who is responsible for the shipping of the product to the customers. Most of online dealers are engaged in drop shipping. Yeah, There is many ways to earn online nowadays. Is just about which one suits us the most. I have few friends are in drop shipping service so I really wish I could able to build one once I got my extra time into it. Thanks for the reminder and Take Care my friend. Hi Maxx, great job with the touchstone crystal review. I came across this company while doing research and was intrigued for a little bit. I am glad that your unbiased look at touchstone crystal gave me exactly what I wanted to know. That is whether this was an MLM scheme. I know now to keep looking and will bookmark your page for future reference. Hey Eric, Thanks again for the words and I wish you all the success in your online endeavor. totally i’m agree with you and I’d join in if i was’t already a member. Yes, Most of the time you will realize the price of the MLM products is ridiculous high especially in beauty as well as jewelry products. The reason is that this is how recruiting works. They have to pay costing, commission, team rewards and etc. This is a really great article on touchstone crystal. there hasn’t been alot of updated reviews so it was concerning but I’m glad I found this helpful one. I can agree that MLM pyramid schemes should be avoided at all costs. They really do not get you antwhere and can cause a lot of stress between trying to promote it and getting leads. I personally don’t think touchstone crystal is a full time income giving opportunity. Awesome job with this article. Thanks for having the same point of view with me. I wonder how many parties I am able to organize. Not much and the things I hate about is inviting people to my parties with selling intention. This is definitely not for me. I have not heard of Touchstone before I know there are so many MLM out there and not all are legit, a great review, thanks for the information. Thanks leah Haar for the praise. Good to know this help you making good decision on choosing a legit business. My wife loves Swarovski crystals, mostly the original figurine types rather than jewelry (showing our age, lol). She has a huge collection and would be great at organizing parties and selling to her friends some of whom may want to become consultants. However, I am not a fan of MLM schemes with unlimited tiers. Is Touchstone Crystal limited in the number of tiers of consultants? I don’t really think it’s a pyramid scheme because they offer real products to sell. However, if they don’t limit the number of tiers of consultants under you then it becomes a pyramid scheme. Eventually, it has to collapse due to market saturation. Your network is just trying to sell goods and consultancies to each other. Hi Ed, Good to know your wife is fans of Swarovski. I strongly believe majority of women like crystal and diamonds. For your information Touchstone Crystal come with different tiers of consultants just like what others MLM program did. Hope this answer your question and thanks for your praise. Catch up with you soon. Wow! A direct selling program backed my Swarovski! 25-40% commission is something I have never heard of in the MLM industry and I’ve joined many, including Amway. I have to admit, it does look pretty outstanding especially with the cool touchstone name, beautiful video and that super high commission but out of curiosity, is it only for women? Hi Riaz Shah, Lol, Of course not only for women. If you are interested why not. Hi Anthony, If I remember correctly the website come with your own personalize (pre-built) and ready to use for your business. Kinda like Avon it looks to me like Touchstone Crystal is for women and leaves men out. Tell me if I’m wrong. Ya, bugging my friends and family for an MLM deal doesn’t really appeal to me, but I know a lot of Avon reps are very successful at doing this and Touchstone Crystal could have very appealing (to women) products like Avon. Of course Touchstone is available for both gender but looking into this products I would said more suitable for women. I would suggest you read the truth about Multi-Level Marketing. You will get better perspective after reading the article and remember to not fall into those pyramid schemes. Let me know your thought then. This product called Touchstone Crystal reminded me of Avon. I sold Avon once and realize that the “MLM” model was in affect. I agree how many time can you have a party and invite relatives, friends etc. I did not like the idea and after awhile stop doing is type of work (2nd job). I agree that creating your own online business is the way to go. More and more people are using and buying on the internet. The comparison and information given was really good. The fact that you provide information on Touchstone Crystal, gave some reason as to why having your online business is better and giving them a link as to where to obtain a training and site to realize their potential and their financial freedom. Hi Thanks Lady Esther, In fact if you understand how online business works, you will definitely love it. You can sell or provided a service base on your strength and passion. I think this will create better effect and everyone will enjoy doing it. Thanks again for your praise and I hope you all the best. Thanks Maxx for your review of Touchstone Crystal. I like the jewelry and the fact that most of it is affordable. I am always looking for an opportunity to make a little extra money on the side but the one thing that I did not like about Touchstone Crystal is the fact that you have to host parties to sell their products in your house. This type of marketing has always been very difficult for me. I agree with you that online affiliate marketing would probably be a better way to spend my time. Hi Micah, Glad that you found your way of making extra income using your time. It is so good to see that this is not a scam because there are so many scams that are out there and also when it comes to MLM this is another thing that so many people are afraid of because I have been a part of these type business also. You have given your review because of your research and guess everything is all green lights. Hi Norman, Yes.. Touchstone Crystal is back by Swarovski and have been around for quite a while. It’s definitely not a scam and it has very strong history.